Though so-called ‘roach coaches’ – slopping out simple tacos at construction sites – have existed in America for decades, it was the financial meltdown of the 00s that saw the food truck go mainstream. With the economy in nosedive, and restaurants tanking, unemployed chefs sought a low-cost way to get back in business. At the same time, the penny-pinching public wanted good food but at affordable prices. Boom: you got the food truck revolution. And while it all originated in the States, the concept of meals on wheels soon spread abroad: London, especially. And as we all know, if it happens in London it’ll happen in Warsaw – just a couple of years down the line. And what began here as a side street curiosity soon morphed into an armada of food trucks trundling through the streets. Summer 2013 will be remembered, in Warsaw’s culinary history, as the year these battle buses went viral. A year on, their popularity has grown unchecked. When Gold Digger arrives at an event everyone knows about it – it looks a beauty. The burgers are pretty good as well, making it one to watch out for (not that you’ll miss it). An interesting concept this: kimchi hot dogs with wasabi mayo, teriyaki and sweet chili sauce. The execution isn’t the most authentic, but then what did you expect. Highly decent, nonetheless. Voted by Aktivist magazine as the king of food trucks! You can tell they’re serious about their ingredients, and added points go to a flip-down table that allows you to eat off the van itself. Hello Kitty meets Manga at this bizarre ‘Japanese pancake’ unit – even the staff are dressed in weird violet outfits. Japanese pancakes, by the way, mean lots of whipped cream, fruit and chocolate sauce – great if you’re six. Slices of pizza served out the back of a Żuk van adorned with graffiti squiggles. All things considered, it’s better than most high street chain pizzas. Home cooking goes mobile! 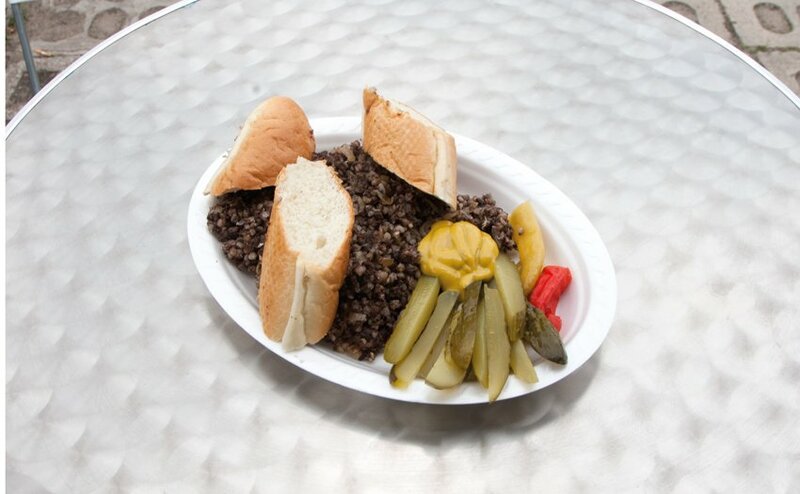 This truck eschews burgers, wraps and traditional food wagon eats, and instead serves traditional Polish comfort food: kaszanka, goose breast and old-fashioned, home-made fruit compote. Owned by Jurgen, a native of Arnhem, Wafiezz specialize in Dutch stroopwafels and mini pancakes (poffertjes) with fresh fruit and whipped cream. Sweet and completely delicious! 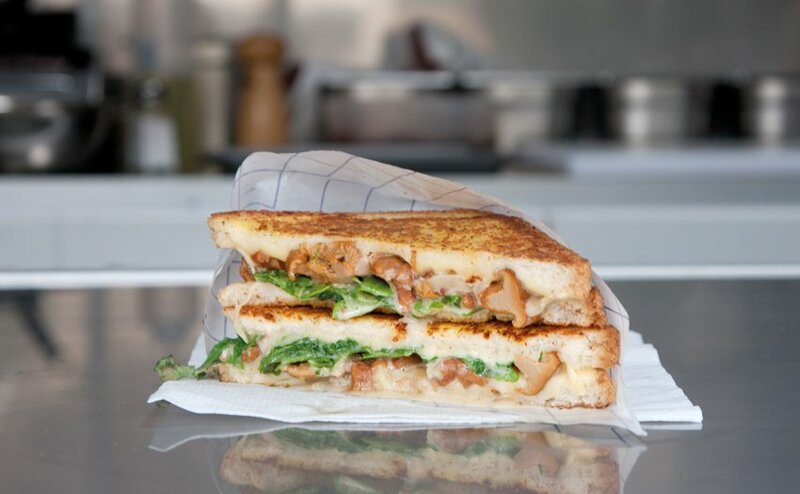 Grilled toasted sandwiches filled with a variety of ingredients that include gorgonzola, rucola and chanterelles, and extras like mint sauce. An interesting homage to the humble toast. Burritos, tacos and chimichangas from a truck sprayed with trippy Day of the Dead faces. Good heat factor, and a standard that most of Warsaw’s Mexican eateries could learn from. Plugging themselves as the ‘best of the wurst’, it’s a great ambassador for the growing Wurst Kiosk outlet: sourcing genuine German sausages it’s very much the real deal. Also on sale, authentic Belgian frites. Hi, great article . 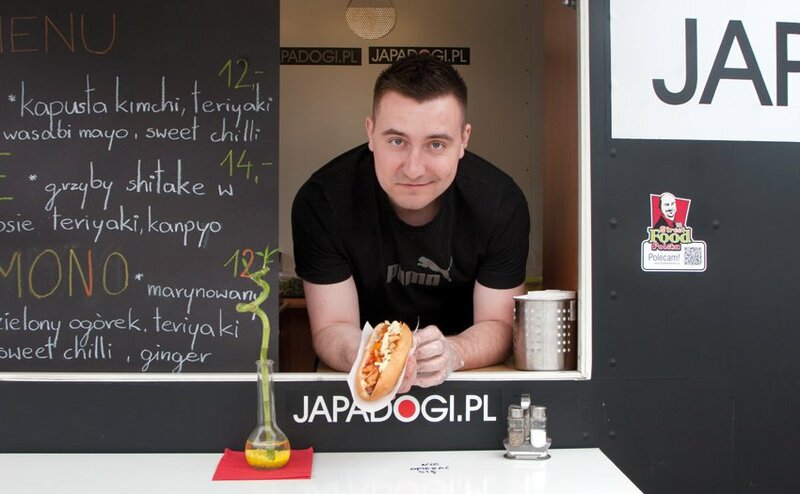 I’m looking to buy a used food truck in Poland. Any help u could give would b great.